To always sustain and deliver on the promise to clients: “You dream it. We make it”. Installed an HP Indigo 5500 Digital Press capable of delivering fast, cost effective, richly personalized quality books for a wide marketplace. Increased the business six-fold in less than three years. 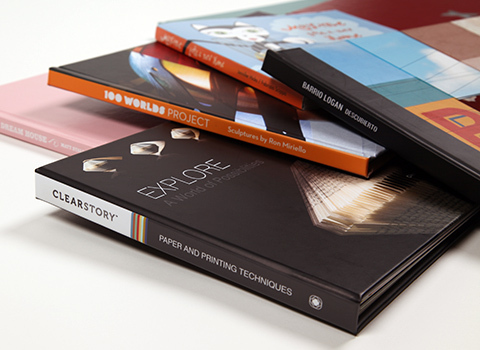 Profitable delivery of consumer entry level Everyday Photo Books for around $20, while also producing for the professional market the highest quality portfolios with different binding techniques in premium finishes on specialty materials. The HP Indigo 5500 Digital Press allows a total in-house operation, guarantees quality control and eliminates the need for outsourcing any part of the process. Making dreams come true –that’s a big call. “You dream it. We make it” was the promise that San Diego based creative digital publisher, Clearstory, announced in December 2010. The promise was to empower Clearstory clients to celebrate life’s special moments with a sophisticated, simple and high-quality photo book. Since 2005 the marketplace had seen a growing appetite for treasured keepsakes – the richly personalized books that honor family and individuals’ milestones in text and images. But before fulfilling their side of the promise, Clearstory had to overcome the hurdles that were limiting the delivery of such quality photo books. Even with the evolution of software that simplified the production cycle and tackled some of the more arduous elements, Medina says the quality of the finished print product remained an issue. With a fusion of creative energy and design skills along with the high-quality digital imaging technology from the HP Indigo 5500 Digital Press, Medina and her two employees built a state-of-the-art production facility and created beautifully designed book templates with professionally designed industry leading software. Today, less than three years later, Clearstory offers customers the ability to produce their own elegant, personalized books. Clearstory created the stepping stones that made the process economical without sacrificing quality. Its designers built custom-made, pre-designed templates specifically for the most popular types of book. Clearstory clients simply download the software, select a book design and drag and drop text and photos. The HP SmartStream Designer makes it even easier to create and print variable data, such as a person’s name, dropped in throughout a book. The company also has a strong following among professional photographers and graphic designers. Professional quality books in this sector include artist portfolios, cook books, poetry books and businesses showcasing their creative work. Clearstory’s designers, pre-press and production team work together to satisfy this demand and oversee the state-of-the-art HP digital printing facility in San Diego. “For the professional market, which can be understandably finicky, there is simply no argument – print quality must be top notch. So the unique six-color liquid HP Indigo ElectroInk technology, which offers light/cyan and light/magenta, allows delivery of museum-quality inks to match the demands of the premium quality finish. Medina underlines that level of comfort by reflecting on her positioning as a successful women-owned small business, now thriving and employing 20 staff: “The first conference I attended in this sector, I was one of only three women there. Many men kindly warned me that the photo and print business was crashing all around, and that maybe I will find my start up too much of a challenge,” she remembers with a smile.